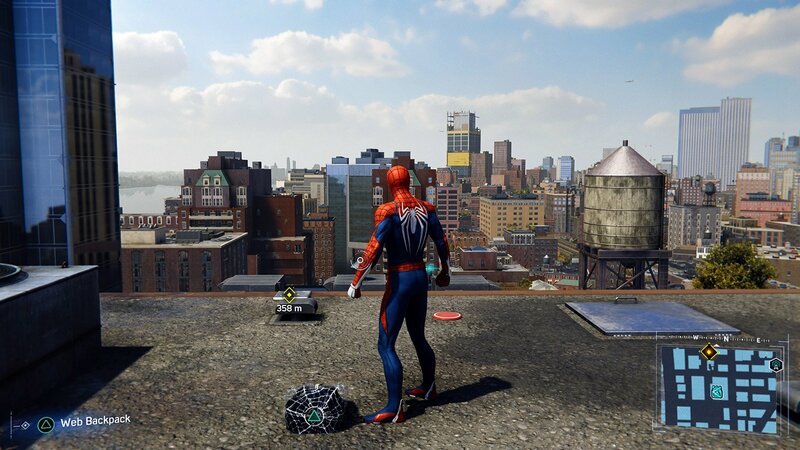 Unlock upgrades for Spidey by collecting his old backpacks around New York City. Marvel’s Spider-Man challenges players to save New York City from enemies as the popular wall-climbing superhero, but the game isn’t only about action and combat. There are plenty of collectibles for you to track down in your free time, like backpacks that are scattered around the city. Collecting these backpacks doesn’t just help you reach 100% completion -- you’ll also earn a special Backpack Token for each Backpack you collect. Here’s everything you need to know about collecting Backpack Tokens in Marvel’s Spider-Man. Backpack Tokens are special collectibles you can use to unlock new items and upgrades for Spider-Man. How do I earn Backpack Tokens? A single Backpack Token is earned each time you collect one of the Backpacks hidden in New York City. How do I know where the Backpacks are? Once you’ve activated a district’s surveillance tower, every Backpack in the district will show up on the game’s minimap (that map that hangs out in the corner of the screen while playing), and the larger in-game map (found in the menus). If you want to go after each Backpack directly (rather than come across them naturally), head into the game’s menu and select the Backpack you want to find on the game’s map. This activates a beacon for you to head toward back in the game. You can also click “R3” while playing (push in on the right analog stick) to show the locations of all nearby Backpacks. What do I do once I’ve found a Backpack? When you get close enough to a Backpack to collect it, you’ll be prompted to press the triangle button. This will grab the Backpack and add the Backpack Token to your collection. If you want to see what Backpack collecting looks like in action, check out our video above. Want to learn even more about Marvel’s Spider-Man? Check out our Landmark Tokens guide, as well as our full review of the game.